What sets the Rod Gloves apart from all the rest? 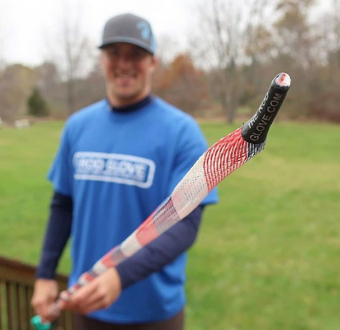 The tapered tip on each Rod Glove that provides ultimate protection for your rod tip. Whether you are a boater, co-angler or shore fisherman, there is a place for the Rod Glove in every situation. Frustration is eliminated with tangled lines and broken tips, along with catching lures by protecting your gear with the Rod Glove products. The tapered tip design, provides a tough high-quality material that will protect your rod tips while travelling to your favorite fishing spots or while stored in your rod locker. With a selection of 21 colors, not only can you personalize your Rod Glove to suit your tastes, but you can also color code to better organize your fishing rod collection. You can color code your rod combinations or simply have them match your boat color scheme, the choice is up to you. Each Rod Glove is made with the angler in mind and there are many accessories available for both organization such as technique tags, or for more protection including the reel covers and bait gloves. Further expanding the product line, MEGA Rod Gloves was introduced this year to allow protection with the same tapered tip for musky rods and fly fishing rods. The Rod Glove is a 100% North American made product.